In part 1 of our series, we discussed the various components of a person’s TSB and we examined how making pension payments and/or lump sum payments could reduce a member’s TSB. In part 2 of our series, we examined paying arm’s length expenses to reduce a member’s TSB. In the part 3 of our series, we examine two other strategies to reduce an individual’s TSB — namely, tax effect accounting and contribution splitting. Tax effect accounting (‘TEA’) is a prudent accounting methodology that can be adopted by self managed superannuation funds (‘SMSFs’) to recognise future tax liabilities as part of the SMSF’s financial position. In particular, TEA can be relevant for managing TSB compliance by helping to ensure that an individual’s TSB is correctly reflected having regard to taxation. The starting point is that member account balances in an SMSF broadly reflect the financial position of the SMSF (ie, the value of the SMSF’s net assets). Naturally, this means that member account balances are based on the market value of the relevant SMSF’s assets (refer to reg 8.02B of the Superannuation Industry (Supervision) Regulations 1994 (Cth) (‘SISR’)). In practice, many advisers and SMSF trustees treat a member’s account balance as equivalent to the member’s TSB except where the member has multiple superannuation funds. Moreover, the ATO’s default position is to use the member account balance information disclosed in an SMSF’s annual return to calculate an individual’s TSB (assuming the member is not a member of another SMSF and that no structured settlement amounts have been contributed to the SMSF). However, it should be noted that a member’s TSB is not identical to their account balance. Broadly, a member’s TSB represents the amount of their accumulation phase interests and retirement phase interests that would become payable if the individual voluntarily caused the relevant interests to cease at a particular time. This ‘withdrawal benefit amount’ can broadly be equated to the net realisable value of the relevant interests, and could take into account tax payable and perhaps also future costs associated with realising the assets that support the relevant accumulation and/or retirement interests. While the Transfer Balance Account Report (’TBAR’) system informs the ATO of an individual’s TSB (refer to question 15 of the TBAR form) and essentially overrides the ATO’s account balance derived TSB value, this requires ongoing intervention and may not be attractive for many advisers. As an alternative to using TBAR to manually change the ATO’s TSB records periodically, SMSFs have the option to apply TEA so that the SMSF’s financial position, and therefore member account balances, better reflects the elements of the TSB definition. For instance, TEA facilitates the recognition of deferred tax liabilities where there is reasonable certainty that a future tax liability will arise for the SMSF. The tax payable on a ‘deferred notional gain’ in relation to capital gains tax (‘CGT’) relief is one example of a future tax liability that could be reasonably certain. Naturally, this is subject to there being no anticipated (current or carried forward) capital losses which could eliminate the deferred notional gain in the financial year that the asset (ie, the asset that received proportionate CGT relief) is realised. The application of TEA can potentially reduce the value of an SMSF’s ‘net assets’ if there is a deferred tax liability and the amount of the deferred tax liability is greater than any applicable deferred tax asset (generally, it is rare for an SMSF to have deferred tax assets). Naturally, such a reduction in an SMSF’s net assets will result in a corresponding reduction in member account balances (since the balances are net of tax) which could lead to a more accurate calculation of a member’s TSB. We illustrate this in the following example. Frank and Jessica are the members of the FJ SMSF. The FJ SMSF does not use TEA and the FJ SMSF’s ‘net assets’ sum to $2,000,000 as at 30 June 2019. Frank and Jessica have equal member account balances of $1,000,000 each which is disclosed in the FJ SMSF’s annual return. $750,000 (the gross gain arising from the election to apply CGT relief) x 2/3 (reflecting the 1/3 CGT discount) x 50% (non-exempt portion) = $250,000. The FJ SMSF elected to defer the notional gain on 30 June 2017. As at 30 June 2019, FJ SMSF still retains ownership of the property. If FJ SMSF had applied TEA, the income tax payable in relation to the FJ SMSF’s ‘deferred notional gain’ of $250,000 could be recognised in the FJ SMSF’s financial position. In broad terms this tax is likely to be approximately $37,500 (15% x $250,000). Accordingly, all else being equal, if the FJ SMSF used TEA, the FJ SMSF’s ‘net assets’ would sum to $1,962,500 as at 30 June 2019. This would mean that Frank and Jessica would each have a member account balance of $981,250 instead of $1,000,000. Without TEA, each member’s account balance would have been overstated by $18,750, which could result in an overstated TSB. If Frank and Jessica were commencing account-based pensions on 1 July 2019, this approach could mean the difference between the FJ SMSF being required to report annually, rather than within 28 days of the end of each quarter of when a relevant event occurs. The annual or quarterly TBAR timing cycles depend on the TSB of an SMSF’s members when the SMSF trustee has to first report an event under the TBAR regime. 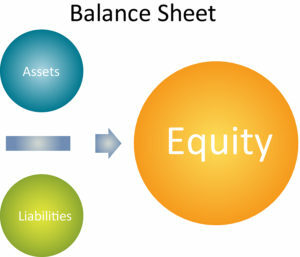 Contributions splitting is another available strategy to reduce an individual’s TSB. Details on the eligibility criteria and the process can be found in div 6.7 of the SISR. the CCs cap for that financial year. Vincent and Natalie are a married couple. They are both members of the same superannuation fund. During FY2018, Vincent’s employer made superannuation guarantee contributions of $10,000 and a further $10,000 CC pursuant to an existing salary sacrifice arrangement. For completeness, assume the salary sacrifice arrangement ends in FY2018 and does not apply for future FYs. The total CCs made in respect of Vincent for FY2018 sum to $20,000. Vincent’s TSB as at 30 June 2018 is $1,605,000. Assume Vincent and Natalie satisfy all the criteria to pursue contributions splitting. On 10 July 2018, Vincent completes the Superannuation contributions splitting application and lodges it with his superannuation fund. He enters the figure of $16,000 at question 20 of the form labelled ‘taxed splittable contributions’ to split his employer contributions. Vincent’s superannuation fund accepts his application and determines that it is valid because $16,000 is: (a) less than 85% of the $20,000 contributed by his employer, and (b) less than his CC cap for FY2019 (ie, it is less than $25,000). Accordingly, Vincent’s superannuation fund processes his application and transfers $16,000 to Natalie’s member account balance. This results in Vincent’s TSB being reduced by $16,000 — ie, it is now $1,589,000, which is a more advantageous position under the superannuation rules. Moreover, if Vincent carefully plans and monitors his TSB for the remainder of FY2019, he could keep his TSB under $1,600,000 as at 30 June 2019. For completeness, we note that the contributions splitting strategy can be applied by members of large superannuation funds, as well as members of SMSFs provided the trustee and trust deed authorises contributions splitting. Before implementing any of the strategies listed above, consideration should be given to determine whether the implementation of a certain strategy to a particular set of background facts might trigger the application of the general anti-avoidance provisions. We have not covered any anti-avoidance provisions such as pt IVA of the Income Tax Assessment Act 1936 (Cth) in this article. However, if the ATO considers that a tax benefit arose from a scheme that was tax driven, there is the prospect of the ATO raising pt IVA. Where in doubt, expert advice should be obtained. Four strategies to more effectively manage an individual’s TSB have been covered as part of our series of articles. These strategies can be used in isolation or in various permutations. Naturally, there may be other strategies that can be used to reduce an individual’s TSB. DBA Lawyers offers a range of consulting services in relation to SMSF and TSB matters. DBA Lawyers also offers a wide range of document services.